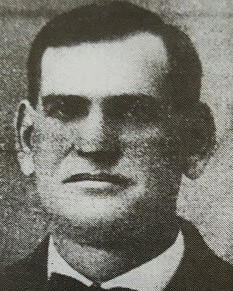 Village Marshal Ole Havey was shot and killed just after midnight by burglars whome he surprised inside the Dalen & Alrick Store on the village’s Main Street. As the marshal approached the store he observed a light on and movement inside. The subject opened fire through the front door, killing Marshal Havey. One suspect was apprehended, convicted of murder, and sentenced to 36 years in prison. He was released in 1942 after serving his sentence. Marshal Havey was survived by his wife and three young children.